The fruit for this wine was grown on the stony, sandy lower terrace of Askerne Vineyard. After the fruit was harvested it was fermented for a short period of time which was stopped by the addition of alcohol. The wine was then aged in older french oak barriques for around 8 months. 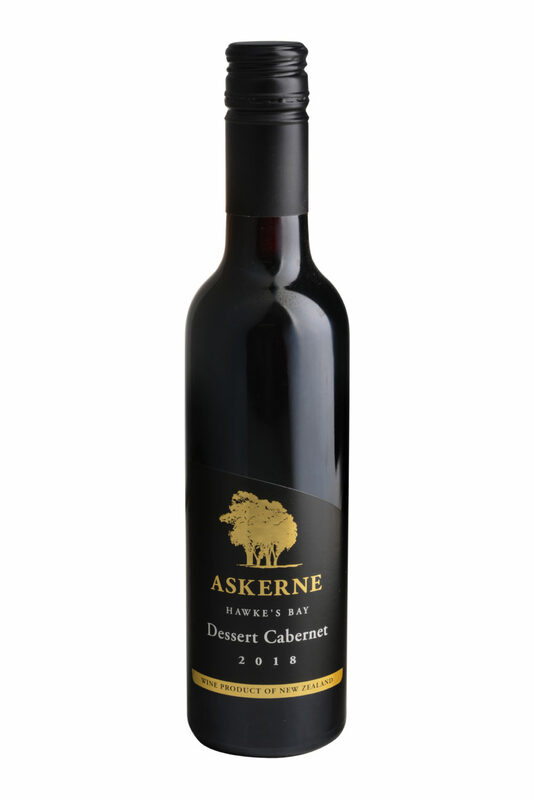 Our 2018 Dessert Cabernet is a fortified wine made from some of our best Cabernet Sauvignon. It offers aromas of red berries, cassis, blackcurrant jam and damson plums. With a rich, velvety palate, a background structure borne of the Cabernet, and seductive sweetness, this wine is a classic of its type. Bottled young, it will give drinking pleasure from the start, but will also repay cellaring and continue to develop in bottle for many, many years to come. Food match with high cocoa solid chocolate based deserts or petit fours.